Like many people I'm a great fan of romantic comedy. I love to read it and write it. I have published Café Paradise trilogy in paperback, available from Amazon books, eBooks and can be ordered from bookshops. 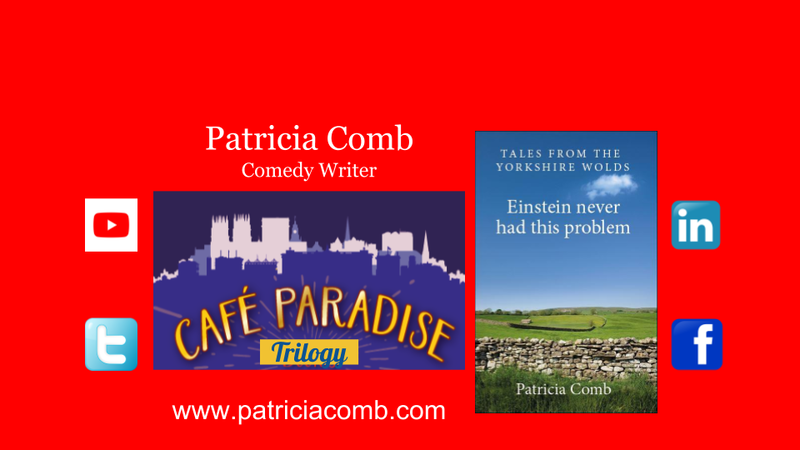 My new novel, a work in progress is called 'Walking Bertie' will be coming in 2019 and my book of humorous short stories called Tales From the Yorkshire Wolds - Einstein Never had this Problem is due out as a summer beach read in June 2018. ​have a long relax at the Café Paradise. Café Paradise is set in a café in York and follows the lives and loves of a group of characters who work there. After Jackie finds her domineering mother lying dead, face down in a plate of porridge, she has to take responsibility for Café Paradise. The greasy-spoon in York has seen better days, but Jackie's plans to modernise are not appreciated by her wilfull staff. 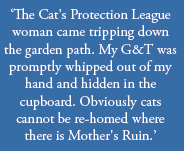 Book 2 in the trilogy 'Marilyn's Daughters' in this riotous sequel to 'Café Paradise' life is never simple or dull. Newly released from prison, Janet Bailey goes looking for her birth mother in York. Her search takes her to the Café Paradise - where her presence threatens to disrupt Jackie's marriage to Barney. ​After three years of marriage and without any warning, Joanna Richmond's husband packs up his share of their home and moves out. Devastated, she turns to her friends, Lucy and Abbie for support. Their idea of helping is to give Joanna a golden retriever puppy to care for and plot a very special revenge for Matthew. Caroline Fieldhouse has given up on trying to find a wife for her brother, Simon Bannister and has given him a black labrador puppy to get him out of his writer's study and meeting people. Whilst walking Ollie, he meets Joanna and Bertie, but their developing friendship runs far from smoothly. False identities, vengeful tactics, mistaken identity and secret plotting run through the novel. Hang up the dog's lead, draw your chair up close to the fire (if you can get near it for the dog on the hearthrug) and prepare to be entertained by the story of ​Walking Bertie...coming in 2019.